← RULE OF LAW OR OF THE RUTHLESS: WHY LAW–INTERNATIONAL AND OTHERWISE? 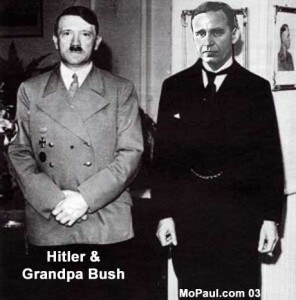 WASHINGTON – After 60 years of inattention and even denial by the U.S. media, newly-uncovered government documents in The National Archives and Library of Congress reveal that Prescott Bush, the grandfather of President George W. Bush, served as a business partner of and U.S. banking operative for the financial architect of the Nazi war machine from 1926 until 1942, when Congress took aggressive action against Bush and his “enemy national” partners. The documents also show that Bush and his colleagues, according to reports from the U.S. Department of the Treasury, tried to conceal their financial alliance with German industrialist Fritz Thyssen, a steel and coal baron who, beginning in the mid-1920s, personally funded Adolf Hitler’s rise to power by the subversion of democratic principle and German law. Furthermore, the declassified records demonstrate that Bush and his associates, who included E. Roland Harriman, younger brother of American icon W. Averell Harriman, and George Herbert Walker, President Bush’s maternal great-grandfather, continued their dealings with the German industrial tycoon for nearly a year after the U.S. entered the war. No Story? For six decades these historical facts have gone unreported by the mainstream U.S. media. The essential facts have appeared on the Internet and in relatively obscure books, but were dismissed by the media and Bush family as undocumented diatribes. This story has also escaped the attention of “official” Bush biographers, Presidential historians and publishers of U.S. history books covering World War II and its aftermath. The White House did not respond to phone calls seeking comment. The Summer of ’42 The unraveling of the web of Bush-Harriman-Thyssen U.S. enterprises, all of which operated out of the same suite of offices at 39 Broadway in New York under the supervision of Prescott Bush, began with a story that ran simultaneously in the New York Herald-Tribune and Washington Post on July 31, 1941. By then, the U.S. had been at war with Germany for nearly eight months. “Hitler’s Angel Has $3 Million in U.S. Bank,” declared the front-page Herald-Tribune headline. The lead paragraph characterized Fritz Thyssen as “Adolf Hitler’s original patron a decade ago.” In fact, the steel and coal magnate had aggressively supported and funded Hitler since October 1923, according to Thyssen’s autobiography, I Paid Hitler. In that book, Thyssen also acknowledges his direct personal relationships with Adolf Hitler, Joseph Goebbels and Rudolf Hess. The Herald-Tribune also cited unnamed sources who suggested Thyssen’s U.S. “nest egg” in fact belonged to “Nazi bigwigs” including Goebbels, Hermann Goering, Heinrich Himmler, or even Hitler himself. Business is Business The “bank,” founded in 1924 by W. Averell Harriman on behalf of Thyssen and his Bank voor Handel en Scheepvaart N.V. of Holland, was Union Banking Corporation (UBC) of New York City. According to government documents, it was in reality a clearing house for a number of Thyssen-controlled enterprises and assets, including as many as a dozen individual businesses. UBC also bought and shipped overseas gold, steel, coal, and U.S. Treasury bonds. The company’s activities were administered for Thyssen by a Netherlands-born, naturalized U.S. citizen named Cornelis Lievense, who served as president of UBC. Roland Harriman was chairman and Prescott Bush a managing director. The Herald-Tribune article did not identify Bush or Harriman as executives of UBC, or Brown Brothers Harriman, in which they were partners, as UBC’s private banker. A confidential FBI memo from that period suggested, without naming the Bush and Harriman families, that politically prominent individuals were about to come under official U.S. government scrutiny as Hitler’s plunder of Europe continued unabated. After the “Hitler’s Angel” article was published Bush and Harriman made no attempts to divest themselves of the controversial Thyssen financial alliance, nor did they challenge the newspaper report that UBC was, in fact, a de facto Nazi front organization in the U.S. Instead, the government documents show, Bush and his partners increased their subterfuge to try to conceal the true nature and ownership of their various businesses, particularly after the U.S. entered the war. The documents also disclose that Cornelis Lievense, Thyssen’s personal appointee to oversee U.S. matters for his Rotterdam-based Bank voor Handel en Scheepvaart N.V., via UBC for nearly two decades, repeatedly denied to U.S. government investigators any knowledge of the ownership of the Netherlands bank or the role of Thyssen in it. Brown Brothers Harriman sent letters to the government seeking reconsideration of the seizures by using false information. UBC’s original group of business associates included George Herbert Walker, President Bush’s maternal great-grandfather, who had a relationship with the Harriman family that began in 1919. In 1922, Walker and W. Averell Harriman traveled to Berlin to set up the German branch of their banking and investment operations, which were largely based on critical war resources such as steel and coal. The Walker-Harriman-created German industrial alliance also included partnership with another German titan who supported Hitler’s rise, Friedrich Flick, who partnered with Thyssen in the German Steel Trust that forged the Nazi war machine. For his role in using slave labor and his own steel, coal and arms resources to build Hitler’s war effort, Flick was convicted at the Nuremberg trials and sentenced to prison. The Family Business In 1926, after Prescott Bush had married Walker’s daughter, Dorothy, Walker brought Bush in as a vice president of the private banking and investment firm of W.A. Harriman &Co., also located in New York. Bush became a partner in the firm that later became Brown Brothers Harriman and the largest private investment bank in the world. Eventually, Bush became a director of and stockholder in UBC. However, the government documents note that Bush, Harriman, Lievense and the other UBC stockholders were in fact “nominees,” or phantom shareholders, for Thyssen and his Holland bank, meaning that they acted at the direct behest of their German client. Seized On October 20, 1942, under authority of the Trading with the Enemy Act, the U.S. Congress seized UBC and liquidated its assets after the war. The seizure is confirmed by Vesting Order No. 248 in the U.S. Office of the Alien Property Custodian and signed by U.S. Alien Property Custodian Leo T. Crowley. In August, under the same authority, Congress had seized the first of the Bush-Harriman-managed Thyssen entities, Hamburg-American Line, under Vesting Order No. 126, also signed by Crowley. Eight days after the seizure of UBC, Congress invoked the Trading with the Enemy Act again to take control of two more Bush-Harriman-Thyssen businesses – Holland-American Trading Corp. (Vesting Order No. 261) and Seamless Steel Equipment Corp. (Vesting Order No. 259). The documents from the Archives also show that the Bushes and Harrimans shipped valuable U.S. assets, including gold, coal, steel and U.S. Treasury bonds, to their foreign clients overseas between 1931-33, as Hitler engineered his rise to power. Still No Story? Since 1942, the information has not appeared in any U.S. news coverage of any Bush political campaign, nor has it been included in any of the major Bush family biographies. It was, however, covered extensively in George H.W. Bush: The Unauthorized Biography, by Webster Tarpley and Anton Chaitkin. Chaitkin’s father served as an attorney in the 1940s for some of the victims of the Bush-Harriman-Thyssen businesses. The book gave a detailed, accurate accounting of the Bush family’s long Nazi affiliation, but no mainstream U.S. media entity reported on or even investigated the allegations, despite careful documentation by the authors. Major booksellers declined to distribute the book, which was dismissed by Bush supporters as biased and untrue. Its authors struggled even to be reviewed in reputable newspapers. That the book was published by Lyndon LaRouche’s organization undoubtedly made it easier to dismiss, but does not change the facts. The essence of the story has been posted for years on various Internet sites, including BuzzFlash.com and TakeBackTheMedia.com, but no online media seem to have independently confirmed it. In the 1990s, former U.S. Justice Department Nazi war crimes prosecutor John Loftus, now honorary president of the Florida Holocaust Museum, wrote a book and launched a web site (www.john-loftus.com) which did breakthrough reporting, including establishing the link between Prescott Bush, Consolidated Silesian Steel Corporation and forced labor at Auschwitz. Although the widely-respected Loftus established a successful international speaking career with his information, no U.S. newspaper or major TV news program acknowledged his decade of work, nor did he ever see many of the recently released documents. Meanwhile, the mainstream media have apparently made no attempt since World War II to either verify or disprove the allegations of Nazi collaboration against the Bush family. Instead, they have attempted to dismiss or discredit such Internet sites or “unauthorized” books without any journalistic inquiry or research into their veracity. Loyal Defenders The National Review ran an essay on September 1 by their White House correspondent Byron York, entitled “Annals of Bush-Hating.” It begins mockingly: “Are you aware of the murderous history of George W. Bush – indeed, of the entire Bush family? Are you aware of the president’s Nazi sympathies? His crimes against humanity? And do you know, by the way, that George W. Bush is a certifiable moron?” York goes on to discredit the “Bush is a moron” IQ hoax, but fails to disprove the Nazi connection. (http://www.scoop.co.nz). The story also reported the seizure of the various Bush-Harriman-Thyssen businesses. Still Not Interested Major U.S. media outlets, including ABC News, NBC News, CNN, The New York Times, Washington Post, Washington Times, Los Angeles Times and Miami Herald, as well as Knight-Ridder Newspapers, have repeatedly declined to investigate the story when information regarding discovery of the documents was presented to them beginning Friday, August 29. Newsweek U.S. correspondent Michael Isikoff, famous for his reporting of big scoops during the Clinton-Lewinsky sexual affair of the 1990s, declined twice to accept an exclusive story based on the documents from the archives. 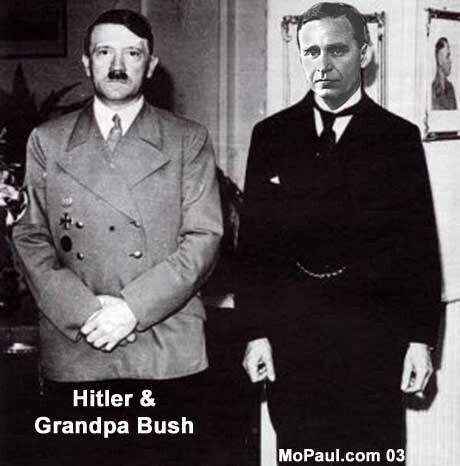 Aftermath In 1952, Prescott Bush was elected to the U.S. Senate, with no press accounts about his well-concealed Nazi past. There is no record of any U.S. press coverage of the Bush-Nazi connection during any political campaigns conducted by George Herbert Walker Bush, Jeb Bush, or George W. Bush, with the exception of a brief mention in an unrelated story in the Sarasota Herald Tribune in November 2000 and a brief but inaccurate account in The Boston Globe in 2001. John Buchanan is an award-winning and internationally published journalist and investigative reporter with 33 years of experience in New York, Los Angeles, Washington and Miami. His work has appeared in more than 50 newspapers, magazines and books. He can be reached by e-mail at:jtwg@bellsouth.net. 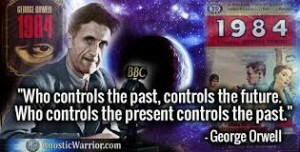 Interview with a Prosecutor John Buchanan interviews John Loftus on the significance of the Prescott Bush – Nazi story. Buchanan – What do you think is the true significance of the story in the New Hampshire Gazette? Loftus – Your story, the first in a “reputable” US newspaper in 60 years, redeemed my two decades of work that only resulted in the mainstream media slamming doors in my face, despite my credentials as a Justice Department Nazi war crimes prosecutor. I give a lot of credit to the courage of the New Hampshire Gazette as well, for practicing journalism as it should be practiced – tell the truth and let the facts speak for themselves. Buchanan – How do you explain the fact that the mainstream media has simply refused to touch it? Loftus – It’s a complex story and the media hate that now in the age of the sound bite headline. It’s also unpopular and frightening to most people, understandably. But the truth about this period of our history as a nation must come out and be dealt with. You and the Gazette have helped to accomplish that. It will come out now, I think. Buchanan – What is the importance of it coming out, in your view? Loftus – Your stories will be the crack in the dam and it will come flooding out. For 60 years, it has been a huge cover-up of the activities of some of the people who brought us the worst grief in the history of the world – the Holocaust. This country needs to understand which of its most prominent families supported Hitler, even after the US went to war with Germany. Buchanan – Can you offer a good example? Loftus – Joseph Kennedy bought his Nazi stocks from Prescott Bush. 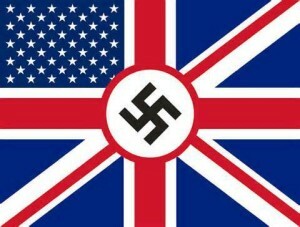 The British thought Kennedy was guilty of treason because his code clerk was tried in London as a Nazi agent and convicted. Buchanan – How do you account for the failure of the media to break this story before the Gazette did? Loftus – My feeling is that about 15 years ago, when big corporations started taking over media companies that had been privately owned by families or individuals, we ended up with an over-worked but well-intentioned media without the staff or resources, in light of all the corporate cost-cutting that was done, to look into the really big stories. 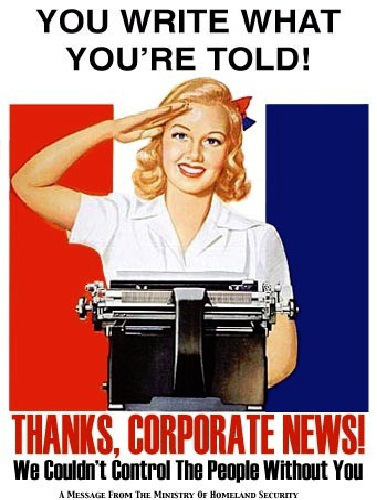 The real enemy is the multinational corporations who are only interested in profits and choose profits over truth. Buchanan – What can be done about that? Loftus – We need to educate the media. 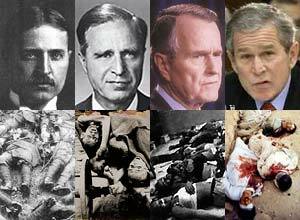 Buchanan – Should Prescott Bush, George Herbert Walker and the Harrimans have been tried for treason? Loftus – Yes, they should have been tried for treason, because they continued to support Hitler after the US entered the war. As a former prosecutor, I could have made that case. Buchanan – What do you think their true motives were in betraying their country for profit? Loftus – It was a perfect example of spin, before the term was even invented. Their goal was that no matter which side won the war, their international industrial cartel would survive and prosper. They had a perfect set-up – a bank in New York (UBC), one in Holland (Bank voor Handel en Scheepvaart), and one in Germany (August Thyssen Bank). They were prepared for anything that could have happened. They wanted to avoid exactly what happened to Fritz Thyssen after WWI. That was the whole point. He had lost many of his major businesses, and they came up with a better way to prepare for the Second World War. Buchanan – How did they manage the cover-up after the first seizures in 1942 and continue with their dealings until 1951, when Thyssen died in Argentina? Loftus – They brought in John Foster Dulles and Sullivan and Cromwell, and his brother Allen in Europe. The Dulles brothers put into effect a cloaking arrangement?that was reflected in the records of Brown Brothers Harriman. There was one account – Brown Brothers Schroeder Rock – that was a cloaking account at Schroeder Bank. The Rock was the Rockefellers. Buchanan – What were they most guilty of after the US entered the war? Loftus – They shipped gold through axis countries after the US entered the war. That certainly was treason, because it gave aid and comfort to the enemy and assisted them economically. Buchanan – Why would they do that – take that chance of facing execution for treason if caught? Loftus – They were afraid Britain would lose the war and they were protecting themselves. Buchanan – If there is information like that to be uncovered still, what do you propose? Loftus – I want a full Congressional investigation and I think your reporting in the Gazette certainly justifies one. I want the cover-up itself investigated, and I want the long-concealed Nazi histories of these families brought out to the public. Buchanan – Who should investigate? Loftus – Now that this information has finally come out, I am calling for full investigations by both the House and Senate Judiciary committees. We’ll see where it goes from there. But I want the cover-up fully and aggressively investigated. The American people and Congress have a right to find out how this happened, to make sure it never happens again. It’s too late for justice, but it’s never too late for the truth. The American people and survivors of the Holocaust and veterans of the war are entitled to the truth. Buchanan – Why hasn’t it come out before? Loftus – President Clinton wanted all the Nazi files declassified, but it didn’t happen fast enough. Some of the documents you saw on I.G. Farben were only declassified a few days before you walked into the archives. You were very lucky, I’d say. Buchanan – What is the most damning single thing you’ve learned in your 20 years of working on this? Loftus – That it wasn’t just the Nazis. The Harrimans backed a Communist-Soviet front of international trade and they sold the Czar’s gold to support the Bolsheviks and fund the Russian Revolution. W. Averell Harriman also did business through other Brown Brothers Harriman and Harriman Fifteen Corp. enterprises that did business with Joseph Stalin as he purged his opposition. Buchanan – How many people died while Brown Brothers Harriman and the Bush-Walker-Harriman partnership did business with Stalin? Loftus – Millions, including American and Allied soldiers and people in concentration camps, both in Germany and Russia. And all the while, even during WWI when American troops died in Russia, the Harrimans did business with the Bolsheviks and then Stalin. Buchanan – What should happen next as a result of this coming out? Loftus – I think that American war veterans and Holocaust survivors are entitled to compensation. I’m not as interested in filing another reparations lawsuit, as I am in a bill in Congress. Buchanan – How realistic is that? Loftus – They did it for Japanese internees. I don’t see why they wouldn’t do it on this issue if the public outcry is loud enough. We should reimburse those vets and Holocaust survivors whose lives were harmed by the Bushes and Harrimans in their dealings as traitors with enemies of the US. Buchanan – Do you think it will happen? Loftus – I don’t know, but I do know that all you can do in this world is tell the truth and see what happens. John Loftus served as a prosecutor with the Justice Department’s Nazi-hunting unit. John Buchanan wrote “Bush – Nazi Link Confirmed,” in our last issue. – The Ed. If George W. Bush had been born poor he never would have been made president. Where did his family’s money come from? After the seizures in late 1942 of five U.S. enterprises he managed on behalf of Nazi industrialist Fritz Thyssen, Prescott Bush, the grandfather of President George W. Bush, failed to divest himself of more than a dozen “enemy national” relationships that continued until as late as 1951, newly-discovered U.S. government documents reveal. Bush’s partners in the secret web of Thyssen-controlled ventures included former New York Governor W. Averell Harriman and his younger brother, E. Roland Harriman. Their quarter-century of Nazi financial transactions, from 1924-1951, were conducted by the New York private banking firm, Brown Brothers Harriman. At the same time Bush and the Harrimans were profiting from their Nazi partnerships, W. Averell Harriman was serving as President Franklin Delano Roosevelt’s personal emissary to the United Kingdom during the toughest years of the war. On October 28, 1942, the same day two key Bush-Harriman-run businesses were being seized by the U.S. government, Harriman was meeting in London with Field Marshall Smuts to discuss the war effort. Nevertheless, Livense, president of UBC, claimed to have no knowledge of such a relationship. “Strangely enough, (Livense) claims he does not know the actual ownership of the company,” states a government report. H.D Pennington, manager of Brown Brothers Harriman and a director of UBC “for many years,” also lied to investigators about the secret and well-concealed relationship with Thyssen’s Dutch bank, according to the documents. Investigators later reported that the company was “wholly owned” by Thyssen’s Dutch bank. In yet another attempt to mislead investigators, Livense said that $240,000 in banknotes in a safe deposit box at Underwriters Trust Co. in New York had been given to him by another UBC-Thyssen associate, H.J. Kouwenhoven, managing director of Thyssen’s Dutch bank and a director of the August Thyssen Bank in Berlin. August Thyssen was Fritz’s father. “The Canadian authorities, however, were not taken in by this maneuver,” a U.S. government report states. The coal company was later seized by Canadian authorities. The records also show that Bush and the Harrimans conducted business after the war with related concerns doing business in or moving assets into Switzerland, Panama, Argentina and Brazil – all critical outposts for the flight of Nazi capital after Germany’s surrender in 1945. Fritz Thyssen died in Argentina in 1951. “It appears, rather, that the subject was a member of the Nazi party,” government investigators concluded. Sheldon Drobny, a Chicago entrepreneur and philanthropist who will soon launch a liberal talk radio network, says the importance of the new documents is that they prove a long pattern of Bush family war profiteering that continues today via George H.W. Bush’s intimate relationship with the Saudi royal family and the bin Ladens, conducted via the super-secret Carlyle Group, whose senior advisers include former U.S. Secretary of State James A. Baker III. Lawrence Lader, an abortion rights activist and the author of more than 40 books, says “the relevance lies with the fact that the sitting President of the United States would lead the nation to war based on lies and against the wishes of the rest of the world.” Lader and others draw comparisons between President Bush’s invasion of Iraq and Hitler’s occupation of Poland in 1939 – the event that sparked World War Two. Now, say Fertik and Loftus, there should be a Congressional investigation into the Bush family’s Nazi past and its concealment from the American people for 60 years. John Buchanan is a journalist and magazine writer based in Miami Beach. He can be reached by e-mail at jtwg@bellsouth.net. Stacey Michael is a New Orleans-based journalist and the author of Religious Conceit. His most recent book is Weapons of Mass Dysfunction: The Art of “Faith-Based” Politics, due in early 2004. He can be reached by email at staceymichael@religiousconceit.com. This entry was posted in CANADIAN GOVERNMENT POLICY, COLONIALISM, CORRUPTION, GENOCIDE, IMPERIALISM, NAZI EUGENICS. Bookmark the permalink. US Police to Be Allowed to Operate in Canada?